The windows were added for the holidays with a winter wonderland theme, featuring a halo lit tree in the background. 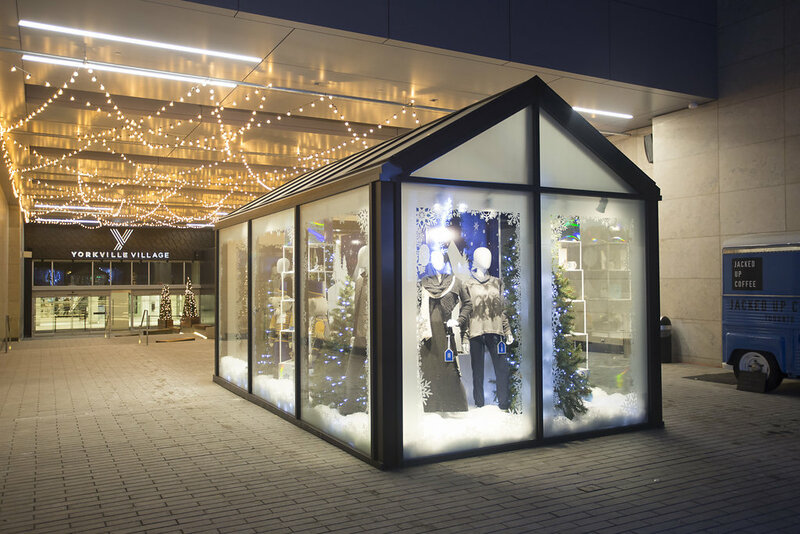 The Pop-up Shop space was treated as a grand holiday display of goods from Yorkville Village. A canopy of abstractly arranged bistro lights hang above planters filled with lit trees.